H Takahashi Pearl Where to Be Vol. 2 Where to Now? Bing & Ruth Reflector Tomorrow Was the Golden Age RVNG Intl. @Mayuko! So glad you're here. I think you'll really enjoy the music I've got programmed for this evening. That's what I thought too as soon as I tuned in! Good evening to you too, coelacanth! @coelacanth, thank you for being here. Please, have a seat. so that photograph...is that an evolutionarily streamlined pegasus? @coelacanth: you're close. 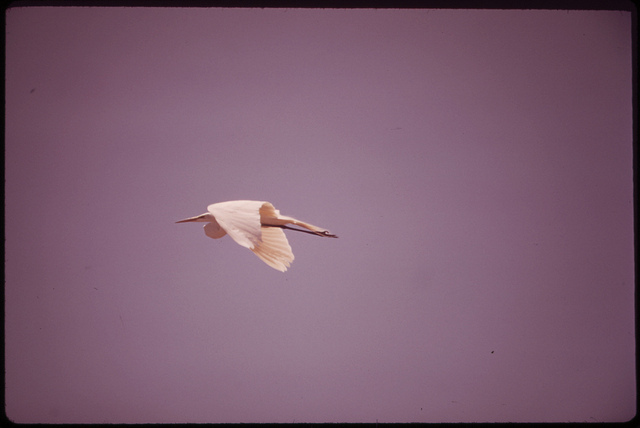 In fact, that is an Egret in flight over the Colorado River Indian Reservation in May 1972. I love love that image of the egret. ばらニ曲 Bara-nikyoku is a title of a poem by Hakushu Kitahara, a writer who was famous in pre-war Japan, so that track must be referencing to it. @Jesse! Great to see you 'round these parts. my various parts consequently relaxing. I wonder if those guys from Salon Kitty are aware that they wrote a song that sounds very much like Japanese national anthem, which was funny to me. We have the most relaxing national anthem for sure. Now you've got me wanting to hear a spacey, accordion-led version of the "Star Spangled Banner," @Mayuko! Something tells me it wouldn't work out as well. oh by the way "夢見るジュリア" is Yume miru Julia - so that people can click-star that track! there's a moment in "the heavenly music corporation" (on "(no pussyfooting)") when fripp played a note progression exactly like the beginning of "the star spangled banner". aside from consciously associating the 2, it doesn't reduce the relaxing effect of the piece. ...so, the big,hypey song representing imperialism, war & winning could conceivably be relaxing. Jinkou Eisei No Yoru must be "the night of a space satellite" and the album 植物 is Shokubutsu, = plants. no probelm. that national anthem impression is probably just me, so it doesn't really matter, haha! these extreme frequencies (which i have to turn down to just about inaudible) make the realplayer spectrogram do very strange things. @coelacanth, ha, that's interesting. in the case of Japanese anthem, it sounds more like losing than winning though. super slow too. very difficult to bring ourselves patriotic excitement with that song, haha. I kinda like it about that song. @coelacanth, yeah I think that record could have gone for another round of mastering. RE your previous comment: the idea of an ambient record of martial music sounds incredible. Sam, i already am formulating it. - 'too bad i have no playing talent. Mayuko, i don't recall it now but i've heard japan's anthem and thought it was very pleasant! And a Happy Kim's Birthday to you, @JeffG! Killer show tonight Sam. Exactly what I need. Thanks for checkin' in, @JW! Hey Sam. Loved the vibe tonight. I appreciated you straying away from some of your usual hocus pocus...sorry bro. Thanks, @Milk! I thought, in light of the election, just this once on my show I would elect not to broadcast the audio from the 1993 Halloween fantasy-comedy "Hocus Pocus." I'm glad you noticed. ...i don't remember it ever doing that before. 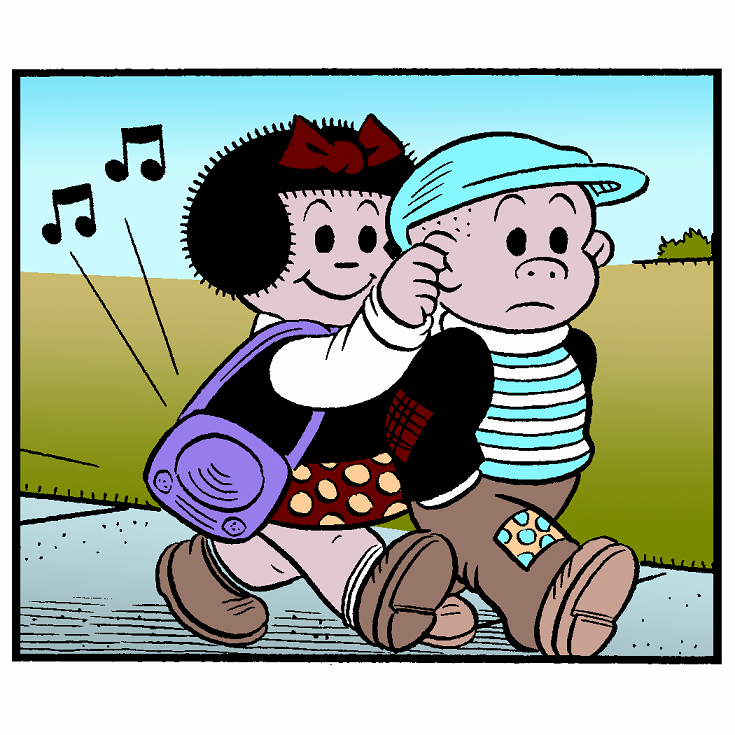 @coelacanth: nice to know Nancy and Sluggo are fans of the show! Thoroughly enjoyed the show! Thank you and good night, Sam and all.